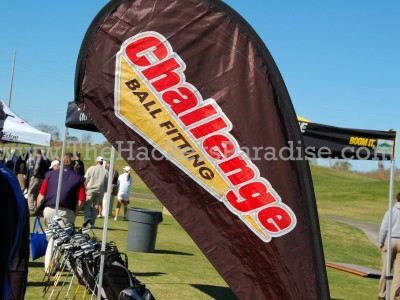 Once a year the entire golf world flocks down to Orlando, FL for the PGA Merchandise Show and THP will be on hand for complete coverage of the 4 day event. As many of our readers know, THP coverage is like no other in that the entire show floor is photographed and videoed to bring you the most complete access that has ever been shown before. No picking and choosing of what to cover, at THP, you will come walk the show with us in its entirety and choose what you would want to see. Every square foot of the show floor will be there for you to peruse and it will be your full access pass to the industry only event. You can follow the THP coverage throughout the next 4 days in a few different ways. 1. THP Forum – We have a dedicated section of the THP Forum for our PGA Show coverage and each night it is updated with hundreds of pictures and videos. You can find that section by clicking right here. 2. 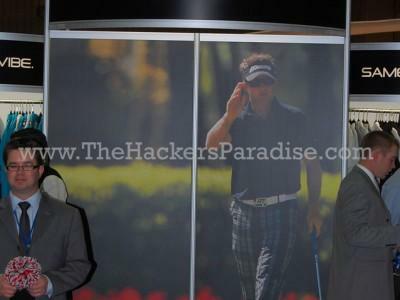 Twitter – You can follow along with the THP Coverage of the PGA Show by following @hackersparadise on twitter. As things stand out to the staff, they will be photographed and sent right to the THP Twitter feed. 3. THP Home Page – At the conclusion of the PGA Show, our home page will be filled daily with exclusive content such as behind the scenes videos, interviews, and more of our complete coverage. Each one of these gives you the ability to “join” THP on the show floor and will give you coverage like you have never seen before. From the apparel hall to the largest equipment manufacturers in the world, THP will be bringing you the most unique coverage you have ever seen before. We hope you join us along the way for this journey. Looking forward to everything when it starts to roll in. I know it’s ton of work for you all, but I love to see the show from THP’s eyes. My feet already hurt, lol. You all have fun, I can’t wait for all the content to start flooding in. Really looking forward to this coverage! If you get an opportunity stop by One Putt Wedge. I have seen them on the web and it looks cool. Great coverage last year and looking forward to this year. You guys are just outstanding at what you do. Thanks for all the all work that goes into this coverage! This is so awesome! Go get ’em THP! Looking forward to all the coverage! I can’t wait to follow your coverage! This is the first PGA Show that I am really interested in, so I am excited to see what you guys are finding. Great! Like to see this coverage. AWEsome, Need the Fix, ’cause its still snowing here. Coverage is Much Appreciated ! I have been loving the coverage so far. Keep it up!